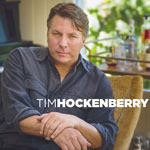 Share the post "Quick plays: TIM HOCKENBERRY, JOSH HARTY"
You know with an ex-America’s Got Talent performer (Hockenberry made the semi-finals in 2012) you’re going to get a decent vocal performance. And his debut release doesn’t disappoint in that respect – his whiskey soaked vocals blending elements of Ray Charles, Joe Cocker and Tom Waits that are perfectly suited to his easy listening brand of Americana. Having made a career over 20 years performing sparse and intimate covers, it was only post ‘Talent’ that Hockenberry moved to performing his own songs – following a chance meeting with vocalist and producer Natasha Miller who’s helped reshape his musical direction. And it’s one familiar to the mainstream Americana revival – the sort of material you would expect from Don Henley and co, Stephen Bishop and Marc Cohn – washing over you like warm molasses, with the musical accompaniment – much of it provided by Miller’s brother Justin – mandolins, acoustics, banjos, wurly piano, organ, pedal steel and 12 strings providing the perfect back drop to Hockenberry’s vocals. I wasn’t overly enthused by Josh Harty’s last outing – Nowhere (2011) – a short, seven track Americana debut album from the North Dakota songsmith. A sparse affair, focused on Harty’s Wild West ghost town vocals underpinned by some subtle finger picking and plaintive support, I concluded it was unlikely to raise him above the ranks of ‘also-rans’. Well, Josh is back, with a new album, a band, and over here for a March / April tour. And whether it’s the fact the songs have been written, demoed and broken in on the road, or the more fulsome sound provided by the addition of Scott Beardsley (drums), Chris Boeger (bass), Blake Thomas (guitars, banjo, Hammond), Chris Wagoner (mandolin, lap steel, dobro, violin and electric guitar), Rusty Lee (piano, Hammond, and Wurlitzer) and a handful of others contributing percussion and backing vocals and piano, Holding On is a different proposition. This entry was posted in ALBUM REVIEWS, ALBUM REVIEWS (Mobile), All Posts, Quick Plays and tagged album, America's Got Talent, Americana, country, Holding On, Josh Harty, review, roots, singer, songwriter, Tim Hockenberry. Bookmark the permalink.